Why We Create Monchasha ?? across the world the trends of industrialization and development have had an urban centric approach. alongside, the stresses of urban lifestyles have led to a “counter-urbanization” syndrome. this has led to growing interest in the rural areas. rural tourism is one of the few activities which can provide a solution to these problems. so that we have created “monchasha” within a domestic area of a most unpopular village to show the world that tourism can sustain without an important site seeing spot as seabeach, mountain, jungle area etc. 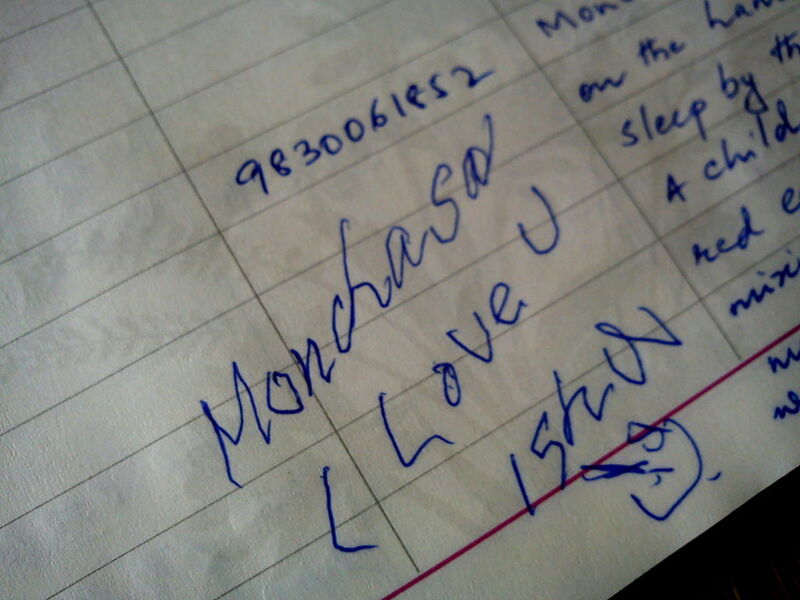 “monchasha” is for those exhausted people who are going through a very busy hectic schedule day after day. to them who are “going to be a part of tourism” is a not a luxury now-a-days but a very basic need. an earnest need for a two days peace. Click here for details. Want to know the making episode ?? continuous living with ‘fast life’ makes us partly mechanical resulting abnormal effects. family commitments, work pressure, money issues increase anxiety & stress level. to recover & manage up with the stress there is very little time left to require care of the health. hectic schedule results to some common diseases like coronary heart disease, high cholesterol, high blood pressure, hypertension, infection of urinary tract etc. also with a heavy workload, working parents has to spend more time in the office with their pile of work rather than at home with their family. this has led to a lack of communication among family members & affected relationships adversely. simple misunderstanding & arguments are happening which become the cause of divorces and broken homes. 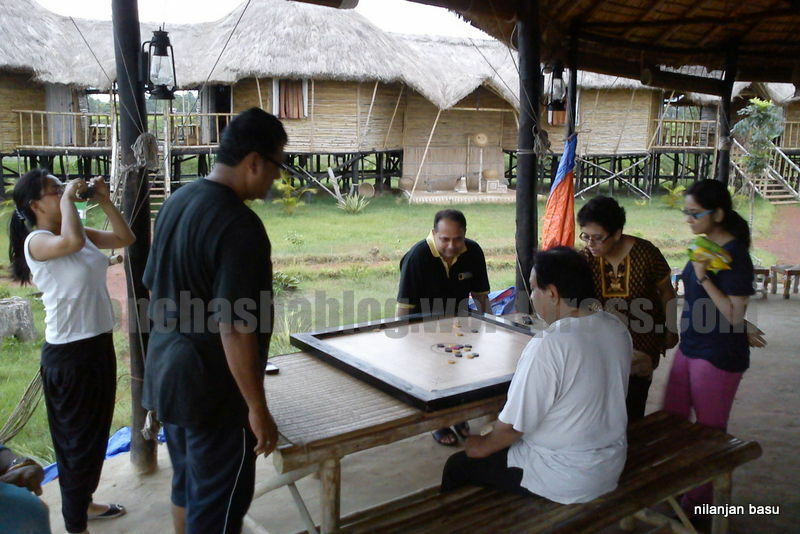 “monchasha” is that type of arena where you can talk to yourself, enjoy quality time with your family or simply format your cpu. Making Details. WHAT THE PRESS SAY ?? CLICK HERE or on the picture below for the reports. WHAT THE GUEST SAY ?? CLICK HERE for the reviews. Guest at Monchasha. For more details click on the picture. Wir wollten für 4 Tage die Grossstadt Kalkutta verlassen und etwas Energie auf dem Dorf Tanken. Die Gastfreundschaft und das Essen sind Grossartig. Die Unterkünfte sind aus natürlichen Materialien gebaut und da es nur 4 Zimmer (pro Zimmer max. 4 Personen) hat ist der Resort nicht überfüllt. Die Ausflüge mit dem Rikscha Van wahren sehr interessant und wir haben Lokale Handwerker mit ihren Familien getroffen welche Souvenir aus Bambus und Zuckerrohr Melasse herstellen. Auch die Täglichen Spaziergänge wahren eine Freude. 1) Die Matratzen waren zu hart und bin Täglich Frühs mit Rückenschmerzen aufgewacht (habe aber auch nicht nach einer besseren Matratze gefragt). 2) Die Zimmer haben TV und da die Zimmer aus natürlichem Flechtgewebe gebaut sind hört man dem Nachbar seine Sendung. Trotz dieser Mengel kann ich den Resort empfehlen. It was really a great experience. 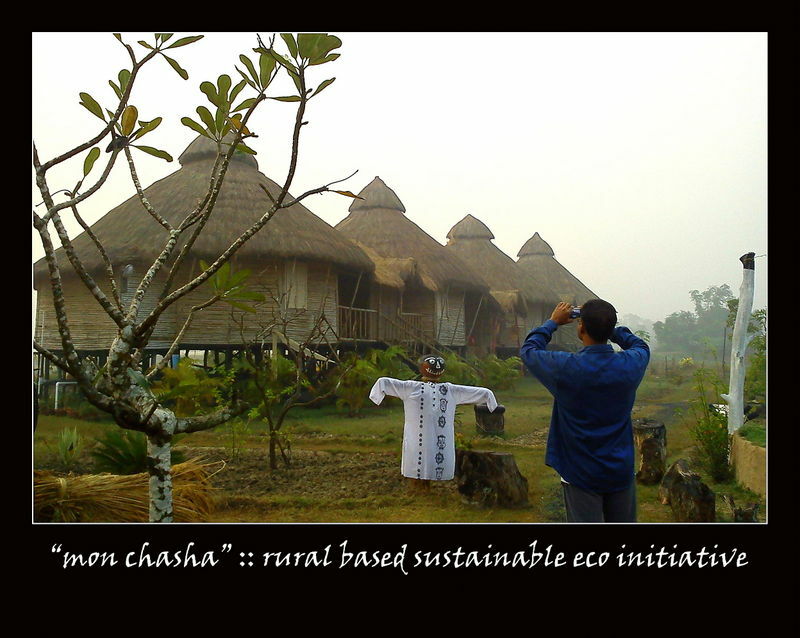 Perfect for peaceseeker who would love to experience rural Bengal amidst queit nature. Pretty refreshing environment. Quite well maintained. The food was great, delicious and served in an authentic manner. The staffs were extremely friendly and professional. We would like to visit again. P.s. I read the only negative review here from 2013. I think they improved a lot on cleanliness, support staffs etc. However I would agree that the lighting could be better. We haven’t seen any snake but more lighting could give us full assurance. Food are good. Ambiance is also good. Boys are so good and Co operativ. But maintenance is low. No Privacy. In the top of the wall one feet open. In winter cold wind is coming through the holes in the wall. In mid night it is terrible. Car parking is not total cover. Satyajit Kundu. 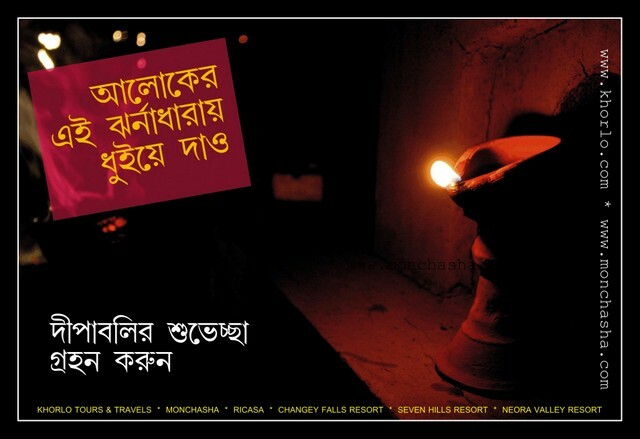 Wish you all a happy, peaceful & prosperous festival of light. 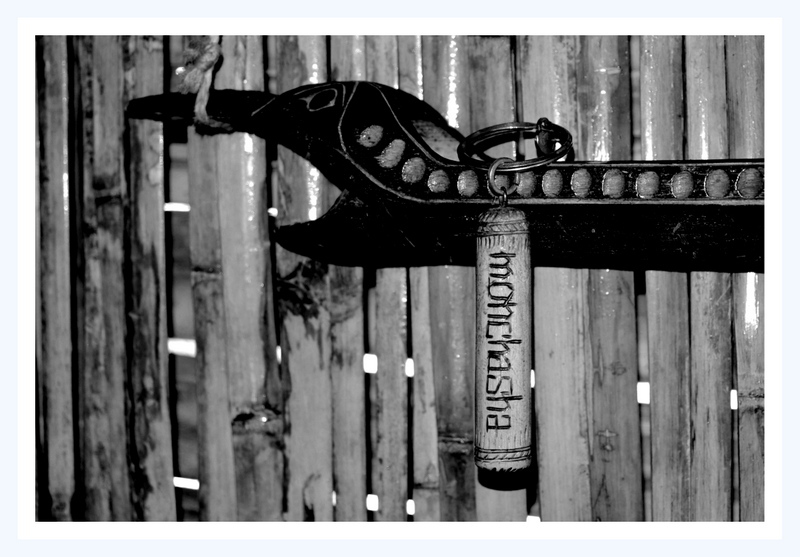 It was a very nice stay at Monchasha and a beautiful arrangement & hospitality by Mr & Mrs Basu. very nice place for someone who loves nature and want to spend some quality time with family. very good change from our busy life. The place has been developed beautifully with scientific ideas to make it a real eco friendly place. Superb collection of books in the common room for visitors. Lots of toys & other facilities for childrens to play around. Overall it’s a great place for weekend trip and that too only 2-3 Hrs journey from Kolkata. Only request to visitors, please do not disturb the silence and harmony of nature and the discipline in village life.